« The World Cup or the Olympics – which one to attend? Now, given my analytical inclination and my iPhone obsession, I decided to use these daily walks to perform a social experiment and measure some urban commuter demographics. People walking while wearing sunglasses. 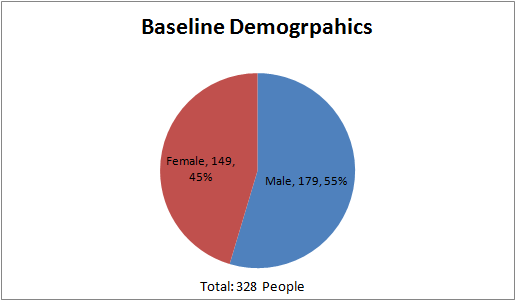 The % of people wearing sunglasses turned out to be the most common at 23% of the baseline (my recordings were all done in the summer). More people while walking are using their phones (16%) to listen to music or podcasts than talk on the phone or read content (11%). Smoking is not very popular in San Francisco—only 3% of the baseline were smoking ( I don’t smoke, but maybe smokers in general don’t smoke that early in the morning). Overall, the answer to my initial question about whether listening to music has become as integral as getting coffee in the morning for urban pedestrian commuters would have to be a Yes! 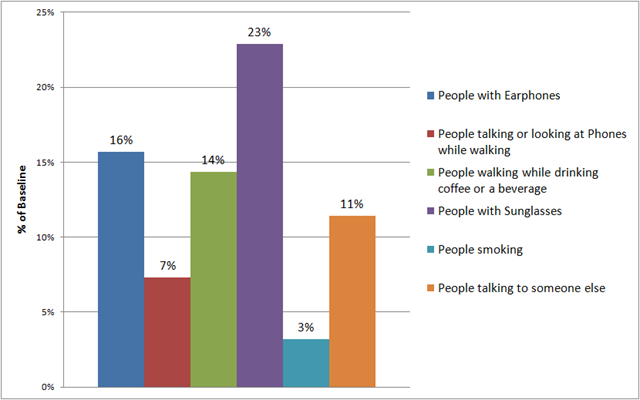 While of course a small sample size, it seems that people don’t necessarily have to have accompaniments like music or coffee while walking to work, but of those who do, they’re as likely to be listening to music as they are to be drinking coffee or talking to a fellow commuter. This research won’t lead to any Nobel Prizes, but hey, I needed some way to make my morning commute more interesting. More demographic studies and research to be posted in the upcoming weeks. For example, comparisons of the number of bicycles, vs buses, vs taxis is on my list and even some more creative ones will I’m sure keep you on the edge of your seat in anticipation. I am at the edge of my seat! Bhavna Auntie– haven’t put any new walking demographic comparisons up, those are still coming– in the meantime, I did put some observations how men compared to women react to stepping on train tracks in a new post. I think you’ll like that post.